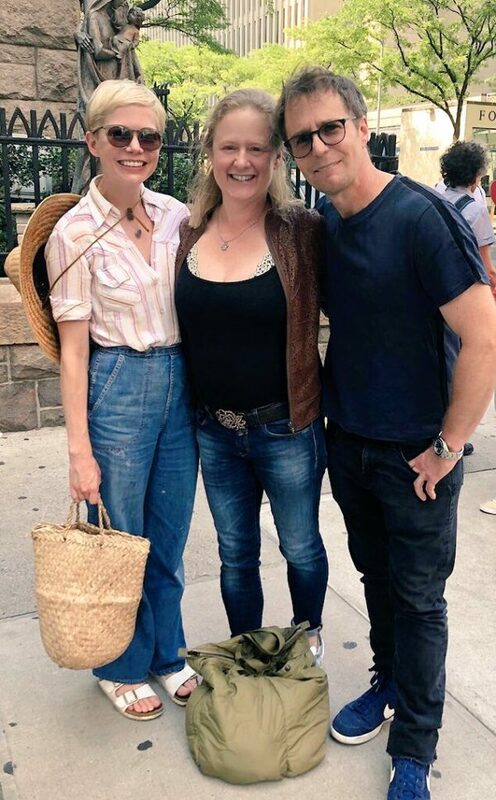 Nicole Fosse (middle), artistic director of The Verdon Fosse Legacy and co-producer of a newly announced FX Networks mini-series now in development about her parents’ professional and romantic bond, poses with the talented actors, Michelle Williams and Sam Rockwell, slated to play the leading roles of Gwen Verdon and Bob Fosse. On the one hand, it’s too bad Bob Fosse isn’t around to do this! But filling in, in his stead, is a high-caliber creative team comprising Lin-Manuel Miranda (producer), Tommy Kail (director), Steven Levenson (book), and, “Hamilton” choreographer Andy Blankenbuehler (choreographer). The miniseries will be based upon Fosse, the biography by Sam Wasson. Very wise words, with a lot of heart. Can’t wait to see the outcome.